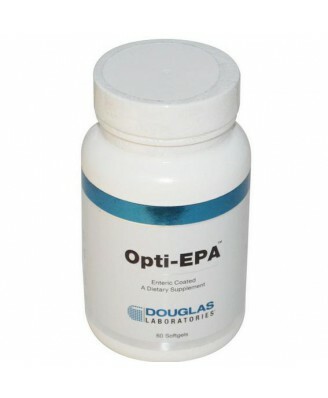 Douglas Laboratories’ Opti-EPA is concentrated marine fish oil, providing enriched levels of eicosapentaenoic acid (EPA, 660 mg) and docosahexaenoic acid (DHA, 340 mg). 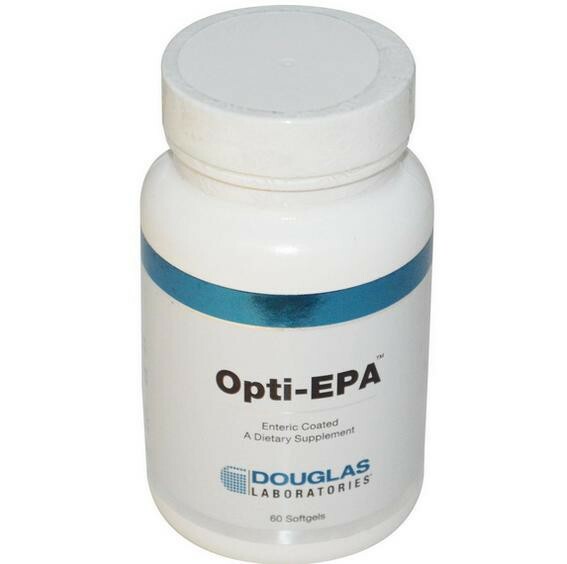 Opti-EPA delivers twice the levels of EPA and DHA, and is lower in saturated fatty acids than regular marine fish oil. Opti-EPA is strictly screened for the absence of any toxic metals and chemicals, and is completely free of cholesterol. The oil is carefully processed and handled to avoid oxidation. Vitamin E is added as an antioxidant. 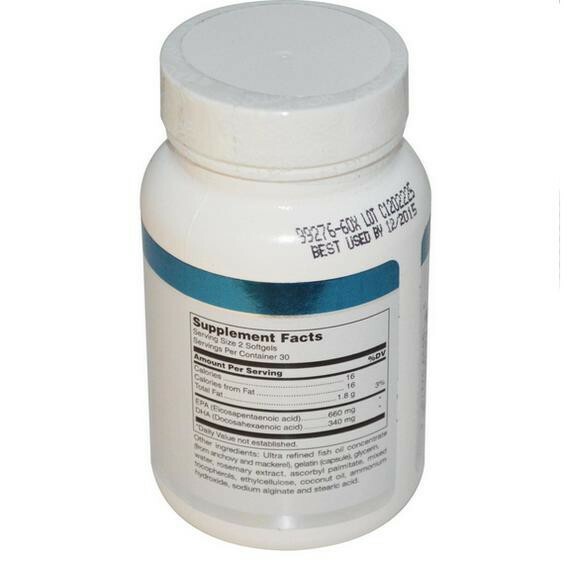 As a dietary supplement adults take 2 softgels daily or as directed by your healthcare professional. Ultra refined fish oil concentrate (from anchovy and mackerel), gelatin (capsule), glycerin, water, rosemary extract, ascorbyl palmitate, mixed tocopherols, ethylcellulose, coconut oil, ammonium hydroxide, sodium alginate and stearic acid. This product contains NO yeast, wheat, gluten, soy protein, milk/dairy, corn, sugar, starch, artificial coloring, preservatives or flavoring.